Time to Return to the Sweater? Ta-da! Julia is finished! I like it, and think it will be a nice addition to the wardrobe for cooler weather. I -alonged this with Stacey, but I think she might have abandoned hers for now. I understand, because I needed to take some breaks, too. 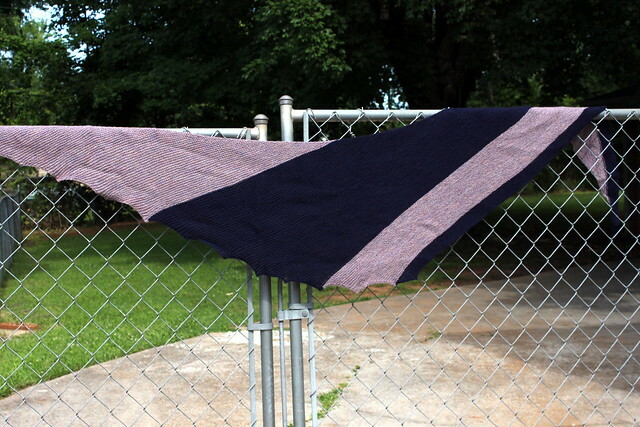 Thank you for bringing this pattern to my attention and inviting me to knit it with you, Stacey. Now that it is done, I need to decide what gets my attention next. I could return to my socks. The roller coaster that was May caused me to have something of a gauge issue, and I need to rip back, but I'm not really feeling it. 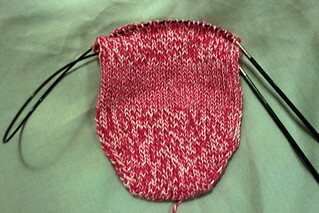 If I didn't already have the first sock finished, I'd just frog the whole mess and forget about it. I could focus (no pun intended) on getting to know my new camera. It is a hand-me-down from my brother, and there is a lot to learn. I have had it for a little over one week, and I have been reading, but this is definitely going to be a process for me. I joked that this nicer camera would mean that my photos would magically become better, but like so many other things in life, it will take time and effort. The time, I have. I can put in the work, too, but we are still rather worn out from everything. Of course, I did pre-order this book and am already enjoying it, so we'll just see what happens. 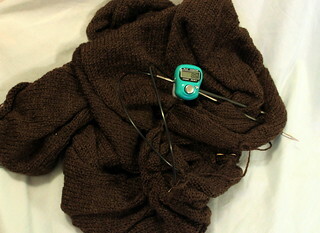 As you can see, I've already knit a dolphin and a crab. 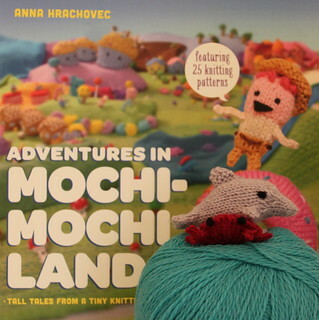 I love this book, and these cute little creations are perfect for taking a break from those long sweater rows and all the brown.